Former supermodel Stephanie Seymour has ventured into lingerie designing, and has enlisted model of the moment Bella Hadid to star in the very first campaign of the brand. The intimates brand is called Raven & Sparrow, and is based in New York, and will present luxury lingerie in a price range of $200 to $900. 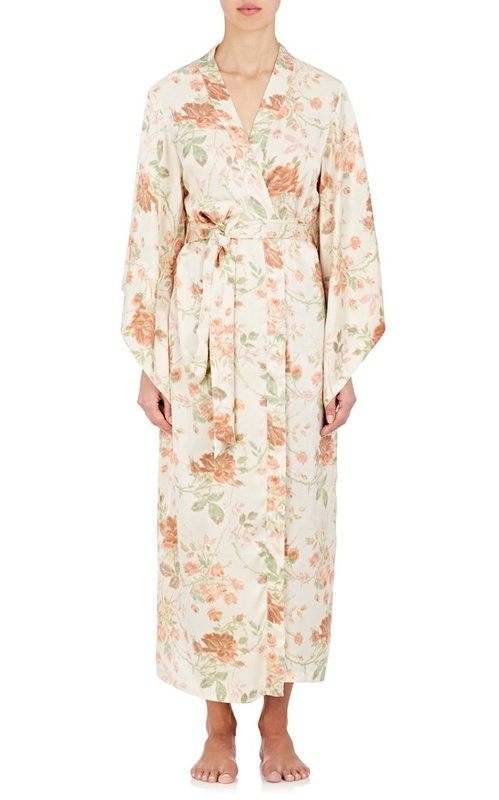 Offering lingerie and boudoir pieces including silk negligees, nightgowns, pajama separates, robes and jackets, the collection is slinky, luxe and chic, and is available at Barney's. Bella Hadid eludes style and elegance in the campaign, and lounges in a silk-trimmed romper in one image, while for the other wears a long silk nightgown. The 49 year old former supermodel Stephanie Seymour's new line is no doubt classy and feminine, and will certainly appeal to lovers of elegant lingerie.